Happy belated 4th of July, friends! I hope that you all had a fantastic holiday weekend with the company of your loved ones, and that you all enjoyed the fireworks show last night from everywhere across the US. I am happy to be back from my Lake Chelan short trip with a couple of friends where we had a blast this weekend, and I’m ready to keep hustling and working since this is a very short week but it still can be quite productive. 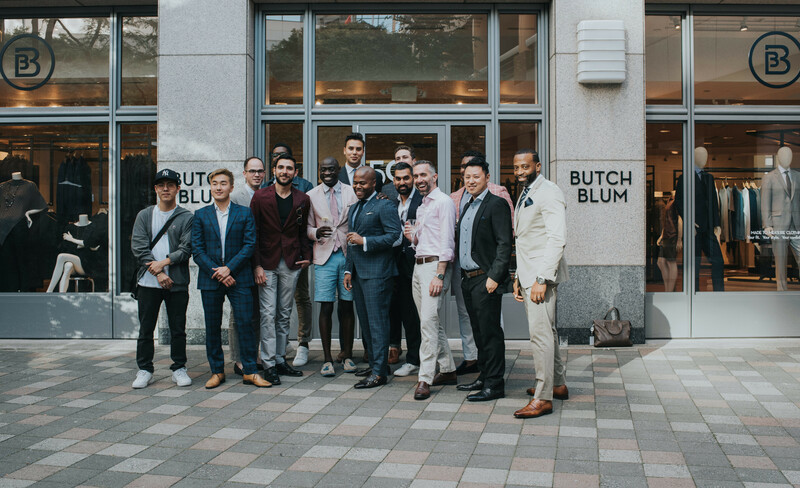 Today on the blog, I want to share with you an event that our friends from Butch Blum organized for the Seattle Gents last week, in which we enjoyed some drinks and apps in their flagship Seattle store while looking at some of their exclusive collection pieces. 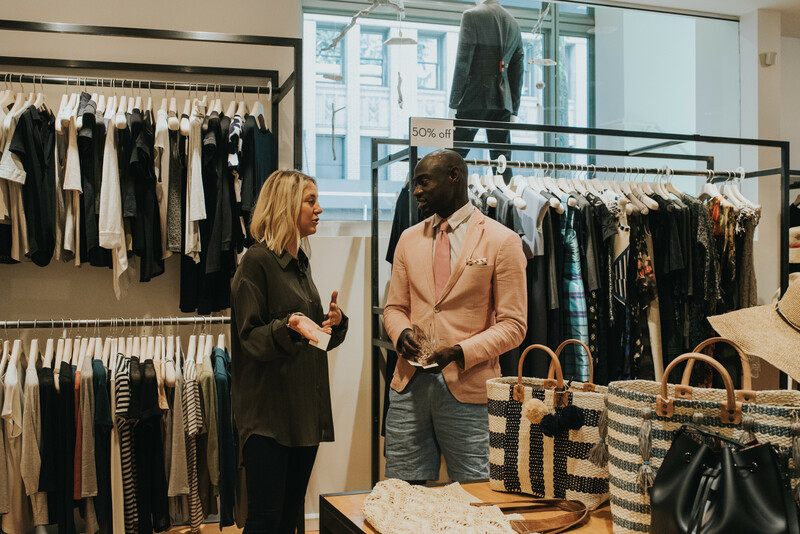 Butch Blum is a curated, quality designer shop located in the heart of downtown Seattle, and it was the first of its kind to bring European designer fashion to the Northwest. 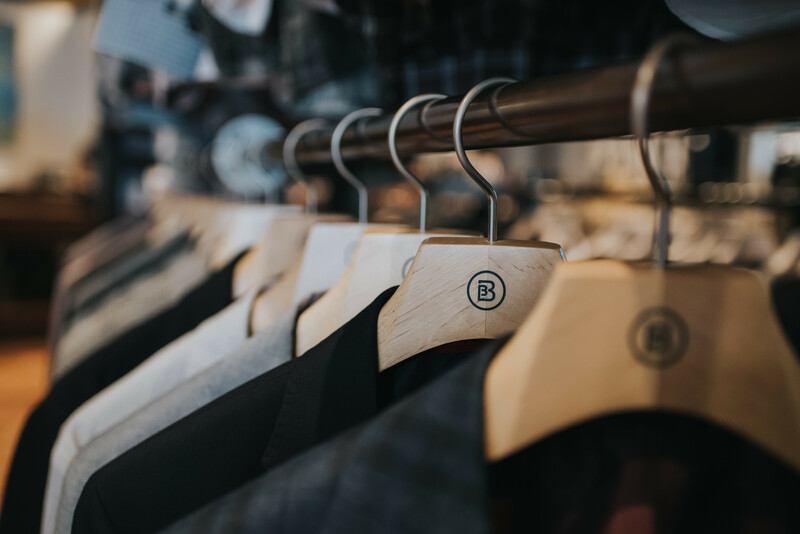 Their product line is one of the finest, most discerning mixes I’ve seen of both exclusive designer products and well-known high-quality brands. 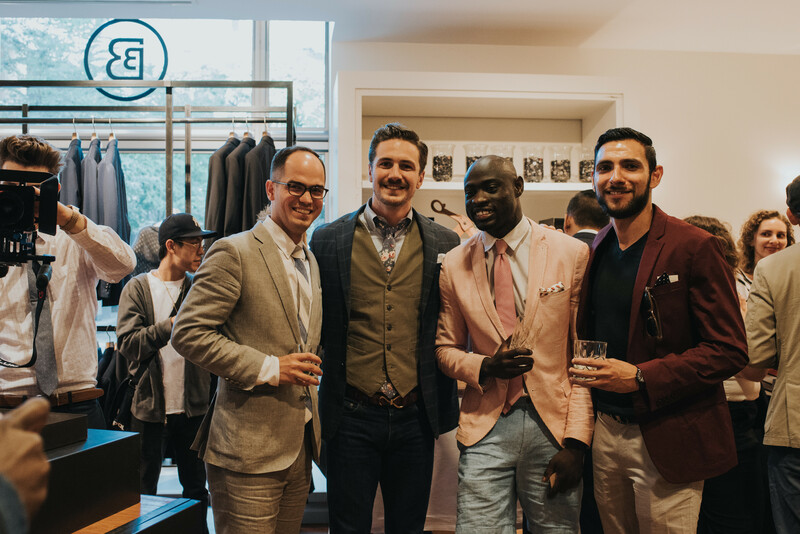 I had already seen some of their ads on social media, so when they invited the Seattle Gents to hang out for an evening of fashion and mix-and-mingling I was really excited. The Gents and I paid them a visit and overall we all had an amazing time together. I even won a gift card in the raffle and you can see in one of the photos how happy I was to receive the prize. One of the things I noticed right away is how centric their location is. Right in the corner of Union Street and 6th Avenue, they lie in the middle of the hectic, corporate life of downtown Seattle. 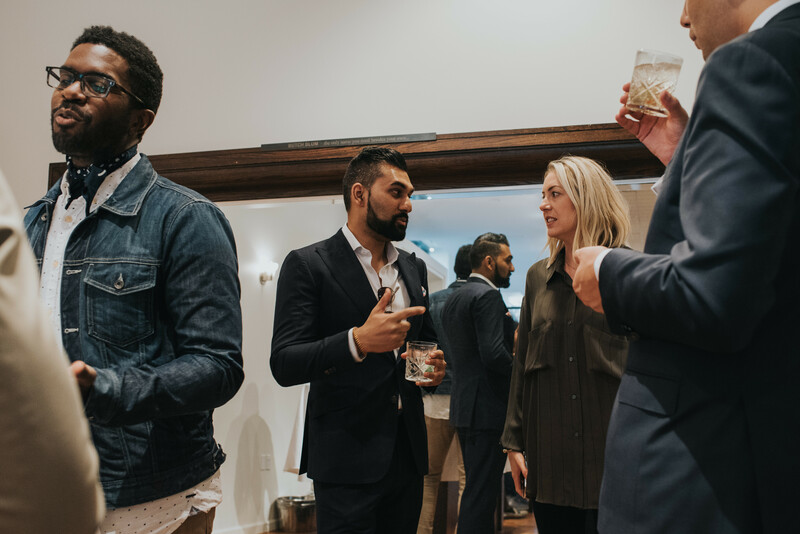 Therefore, this is a great place to be noticed by the people who work at the banks, downtown business, or even Amazon and other tech companies. 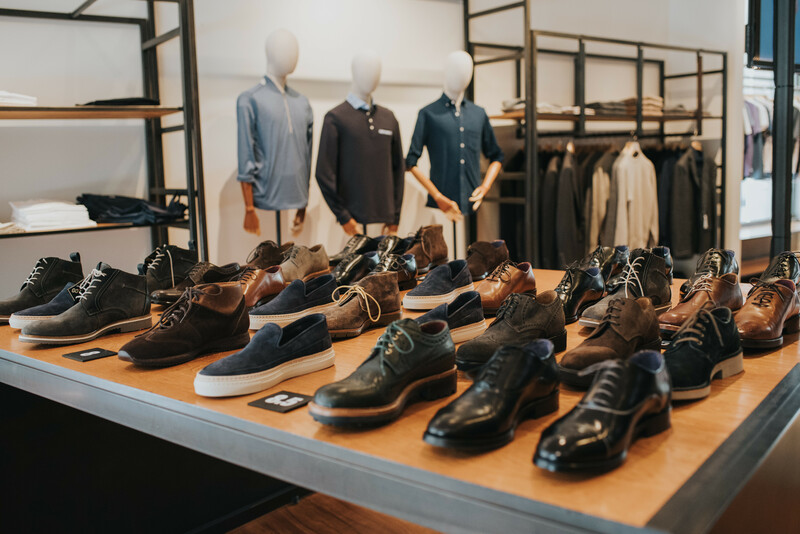 So there’s a big market for people that want to wear nice clothes and are right in lieu of the store. Once inside, I was surprised by how well organized the store is, and how easy it is to find nice-looking patterns and bright colors. 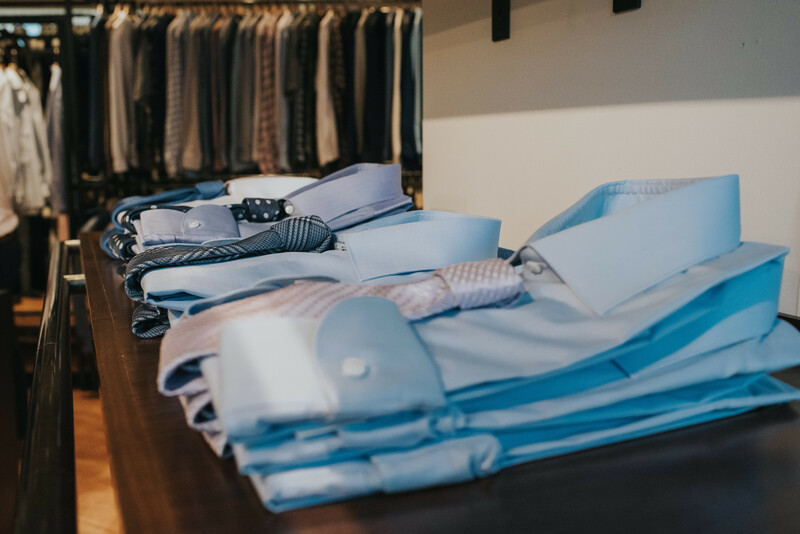 One thing that sets this store apart from the rest is their alteration service, which will have your garments altered by master tailors so that the fit is perfect for you. The building has a very unique appeal to it, and the people that work there were super nice to us. 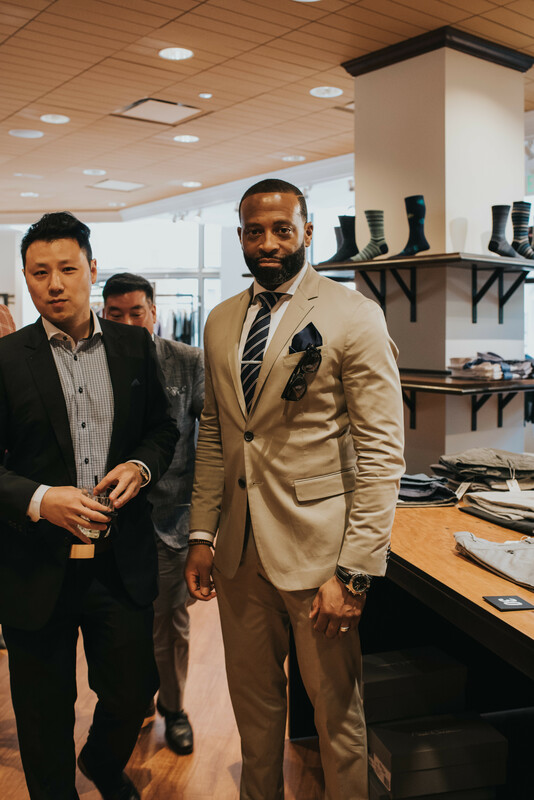 I even got the chance to try on some of the clothing they have, and they gave me some tips and advice on buying quality garments. 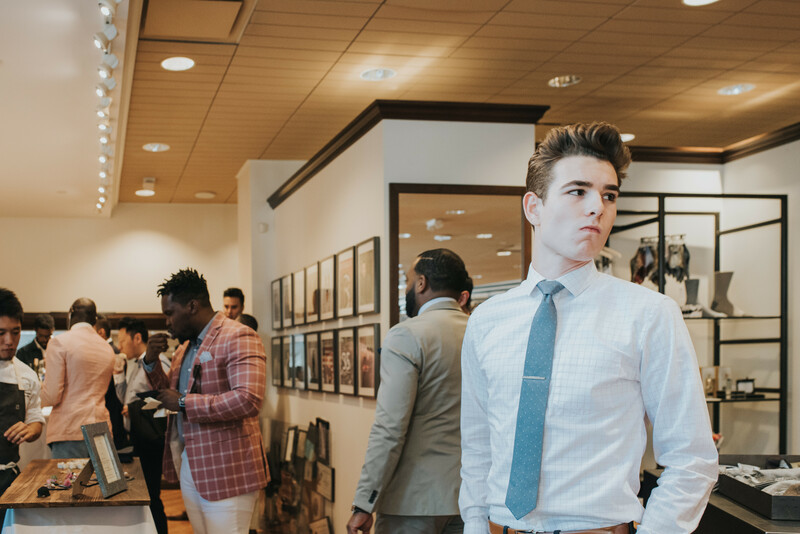 For my meetup with our Butch Blum friends I decided to go for a very casual combination of a burgundy suit jacket from EXPRESS and some stone pants from Topman. 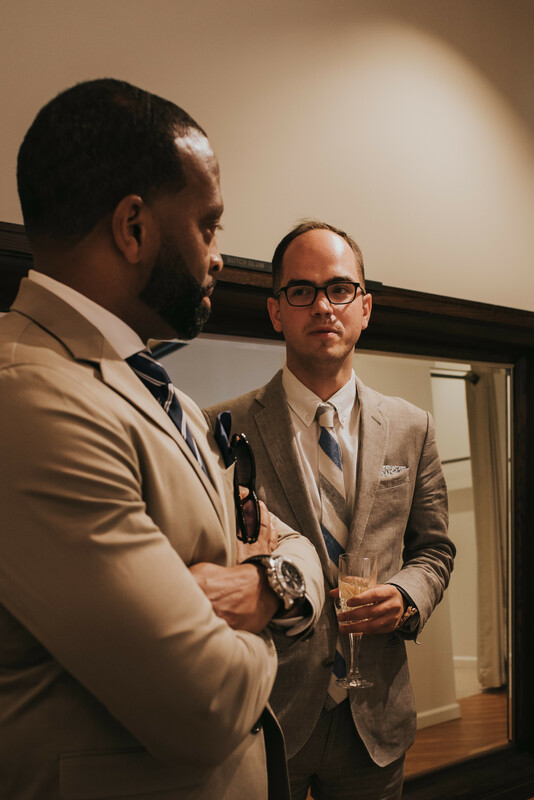 I paired the suit jacket with a black V-neck from Zara and topped the look with some vintage eyewear also from Topman. It was a nice summer evening, so this outfit worked perfectly on a warm, sunny afternoon, and it was easy to match this same outfit with some garments at the store to create completely different looks. 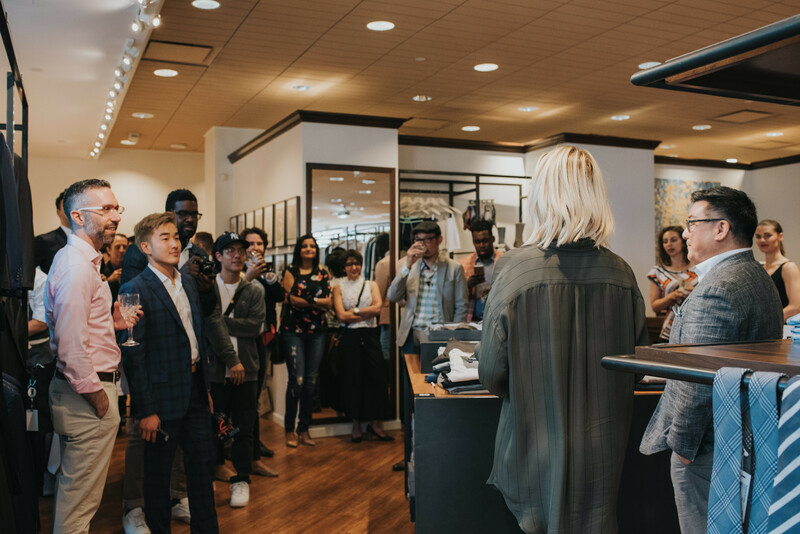 My favorite was pairing the stone pants with a black leather jacket which just brought the whole look to a completely different level. What do you folks think? Do you agree that this is such an easy, yet bold look for summer? 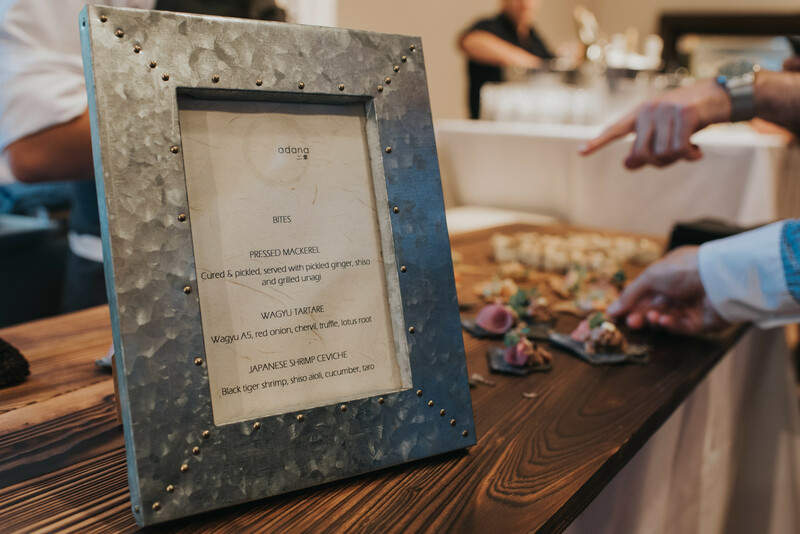 Once again I want to thank Anthony Smith from Soul Breathing Photography, who we met at the Beckett & Robb event, for taking these photos. They look incredible! 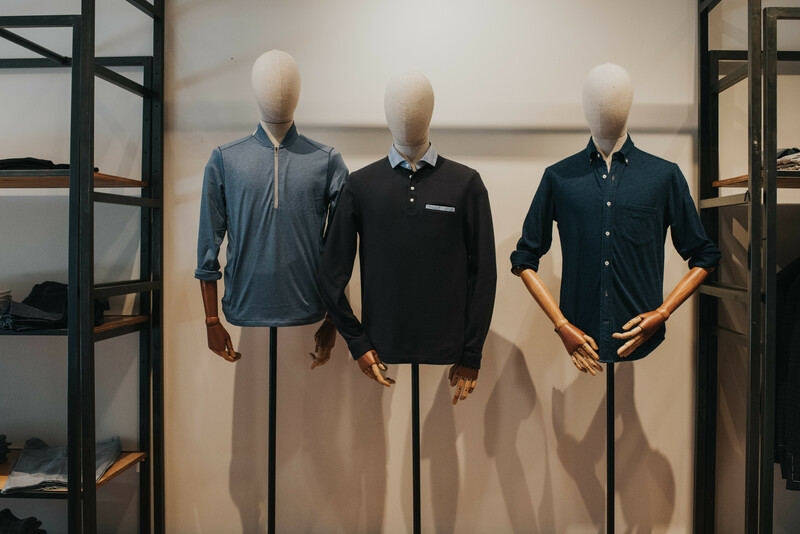 That’s it for now, thanks again for reading today and make sure, if you get the chance, to drop by the Butch Blum downtown Seattle store to see what they have for you. 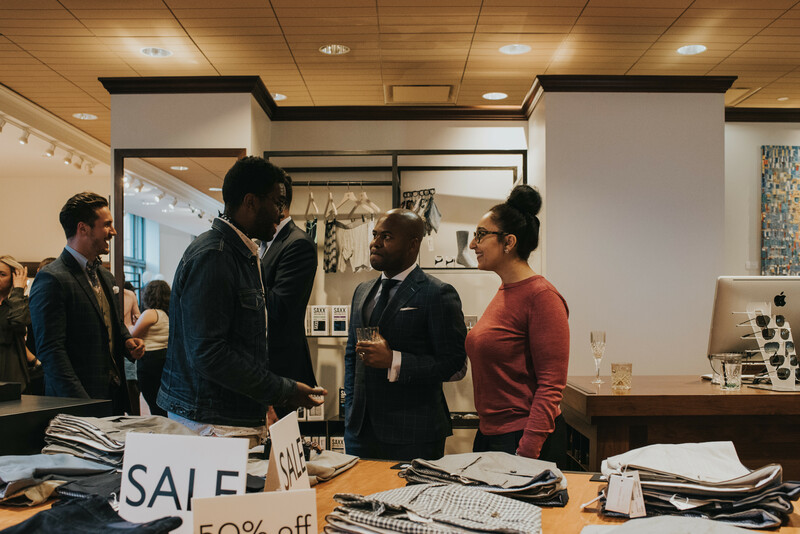 I’m sure you’ll find something you like, and if there’s something I can guarantee is that you’ll be treated like a king. 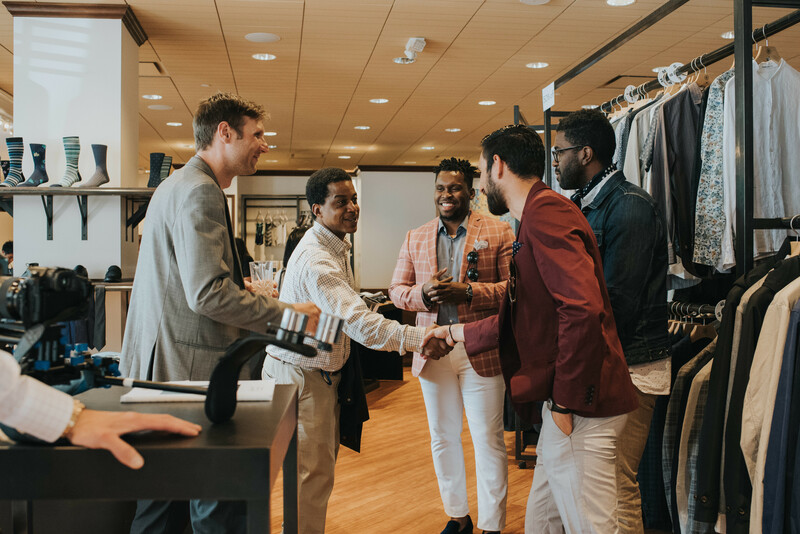 One last thing I want to mention is how happy I am of seeing how the Seattle Gents group has grown over the past months and how involved our community is. 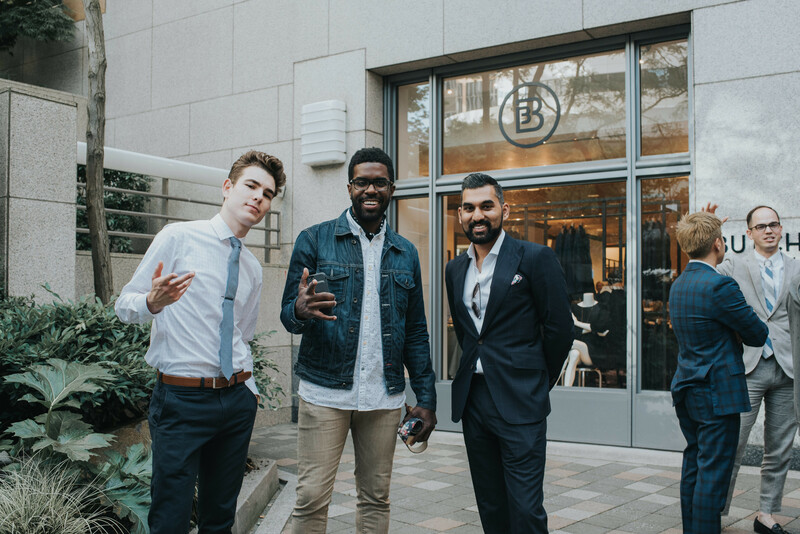 With the invaluable help of amazing individuals, this group is actually becoming a thing now, and we have great surprises in store for the upcoming months, so keep posted to what’s coming here in the blog and on social media. 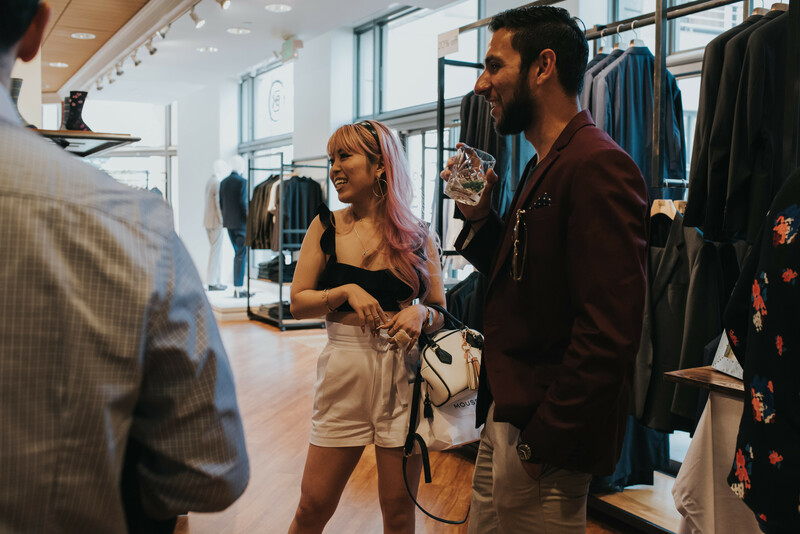 Being a part of it is an incredible honor and I love how supportive all of its members are; I just keep hoping that the momentum continues so we can keep raising the name of Seattle proudly as a menswear fashion capital. I’ll leave you for now, but remember to be bold and to let your voice be heard. See you next time with another personal fashion post (it feels like I haven’t done one of these in a while) and some more collaborations. Till the next! ¡Feliz 4 de julio atrasado, amigos! Espero que todos hayan tenido un grato fin de semana largo en compañía de sus seres queridos y que hayan disfrutado de los juegos pirotécnicos la noche de ayer desde múltiples puntos de los Estados Unidos. Estoy feliz de estar de regreso de mi viaje corto pero muy divertido a Lake Chelan, donde me la pasé increíble este fin de semana con unos amigos y, me encuentro listo para seguir trabajando y esforzándome ya que aunque corta esta semana aún puede ser muy productiva. 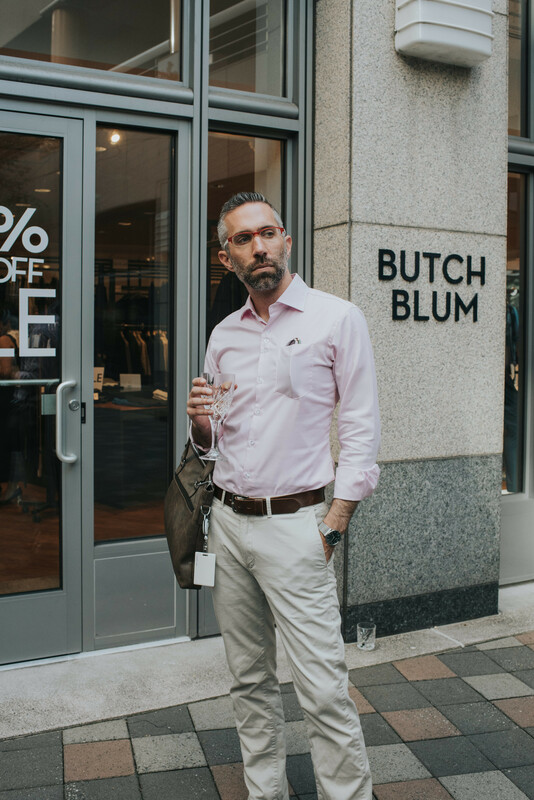 Hoy en el blog les quiero compartir un evento que nuestros amigos de Butch Blum organizaron para los Seattle Gents la semana pasada, en el que disfrutamos de bebidas y botana en su tienda insignia de Seattle mientras observábamos algunas de sus exclusivas piezas de colección. 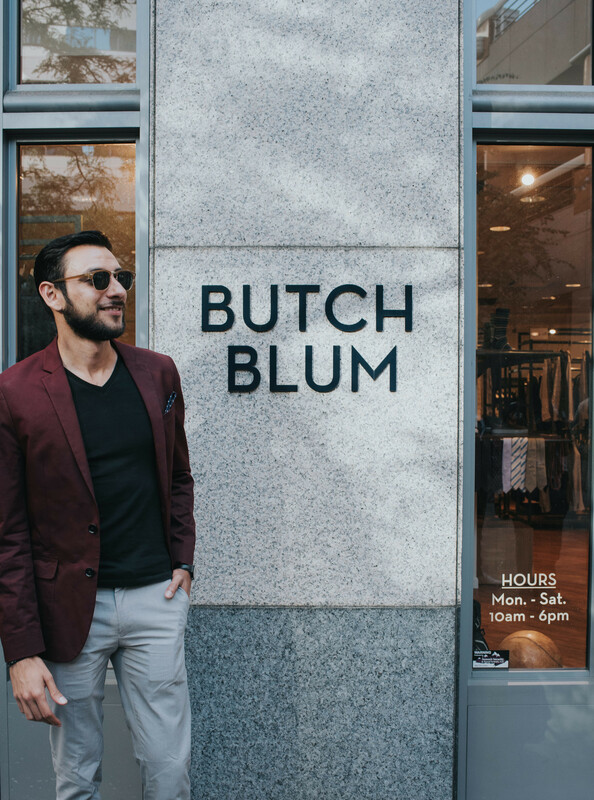 Butch Blum es una tienda de ropa de diseñador de alta calidad localizada en el corazón del centro de Seattle y, fue la primera de su tipo en traer moda de diseñadores europeos al Pacífico Noroeste. 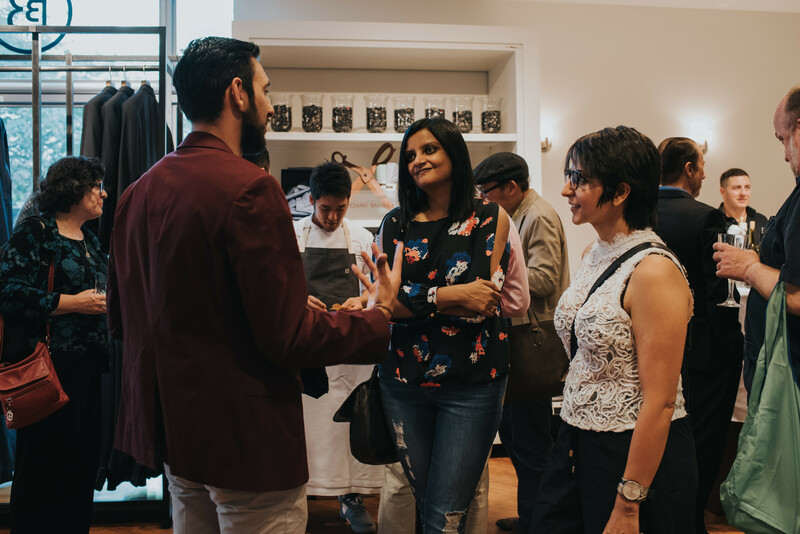 Su línea de productos es una de las mezclas más finas y diversas que he visto de tanto productos exclusivos de diseñador y marcas bien conocidas de alta calidad. 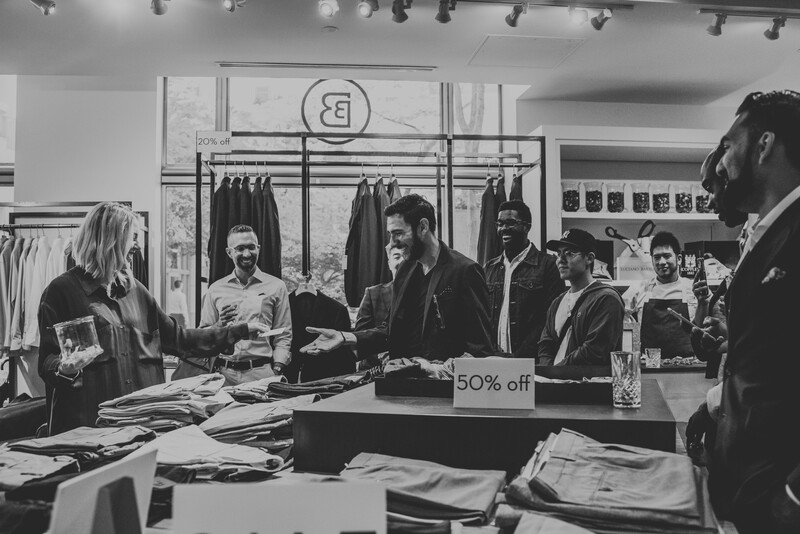 Ya había visto acerca de esta tienda en las redes sociales, entonces cuando nos invitaron a mí y a los Seattle Gents a pasar una tarde de moda y convivencia me emocioné bastante. Los Gents y yo aceptamos la visita y en general tuvimos un tiempo increíble juntos. Inclusive me gané una tarjeta de regalo en la rifa que organizaron y pueden ver en una de las fotos lo feliz que estaba al recibir el premio. Algo que noté casi de inmediato fue lo muy bien ubicada que se encuentra esta tienda. Justo en la esquina de Union Street con la Sexta Avenida, se localizan en medio de la ajetreada vida corporativa de downtown Seattle. Por lo tanto, este es un gran lugar para ser reconocida por la gente que trabaja en los bancos, los negocios del centro, e inclusive Amazon y las otras compañías de tecnología. Entonces hay un mercado muy grande de gente que quiere vestirse bien y que se encuentra extremadamente cerca de la tienda. Ya dentro, me sorprendió lo bien organizado que está todo y, lo fácil que es encontrar patrones que te gusten o colores brillantes. Una de las cosas que hacen que este lugar sobresalga sobre otros negocios es su servicio de alteración, quienes a mano de sastres expertos modificarán tus piezas para asegurarse de que te queden bien. El edificio tiene un encanto muy especial y la gente que trabaja ahí se portó muy linda con nosotros. 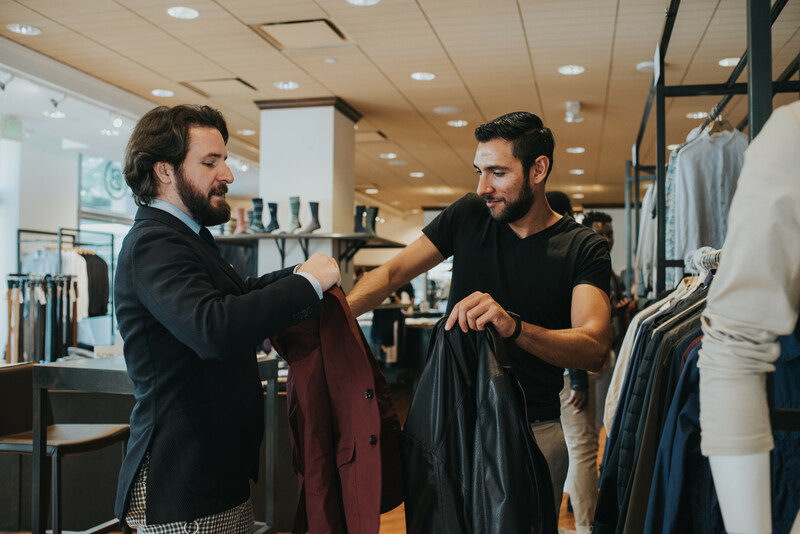 Hasta tuve la oportunidad de probarme algo de la ropa que tenían y me dieron muy buenos tips y consejos para comprar ropa de alta calidad. 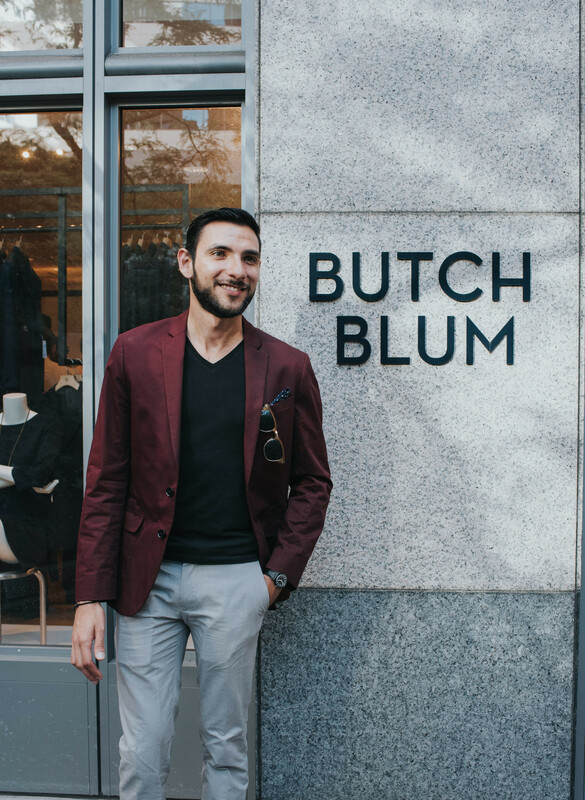 Para la reunión con nuestros amigos de Butch Blum decidí optar por una combinación muy casual conformada por un saco color vino de EXPRESS y unos pantalones en tono piedra de Topman. Me puse con este conjunto una camiseta de cuello-V de Zara y completé el look con unos lentes tipo vintage también de Topman. Era una bella tarde de verano, así que este outfit funcionó de manera perfecta en un día cálido y soleado y me fue muy fácil combinar estas piezas con algunas de las que tenían en la tienda para crear atuendos completamente diferentes. Mi favorito fue ponerme una chamarra de piel negra junto con los pantalones en tono piedra, lo cual sólo elevó el look hacia otro nivel. ¿Qué opinan amigos? ¿Están de acuerdo que esta es una forma muy sencilla, pero efectiva de vestirse para el verano? Una vez más quisiera agradecer a Anthony Smith de Soul Breathing Photography, a quien conocimos en el evento de Beckett & Robb, por tomar estas fotografías. ¡Se ven increíbles! Eso va a ser todo por hoy, una vez más muchísimas gracias por leerme y asegúrense, si tienen la oportunidad, de darse la vuelta por Butch Blum en downtown Seattle para ver que es lo que tienen para ustedes. Estoy seguro de que encontraran algo de su gusto y, si algo les puedo asegurar, es que los van a tratar como reyes. Una última cosa que quisiera mencionar es lo feliz que estoy de ver cómo ha crecido enormemente el grupo de los Seattle Gents durante los últimos meses y lo involucrada que esta la comunicad local con ellos. Con la invaluable ayuda de increíbles personas, este grupo se está convirtiendo en algo grande, y les prometo que tenemos muchas sorpresas preparadas para los próximos meses, así que manténganse al pendiente de lo que postearé aquí y en redes sociales. 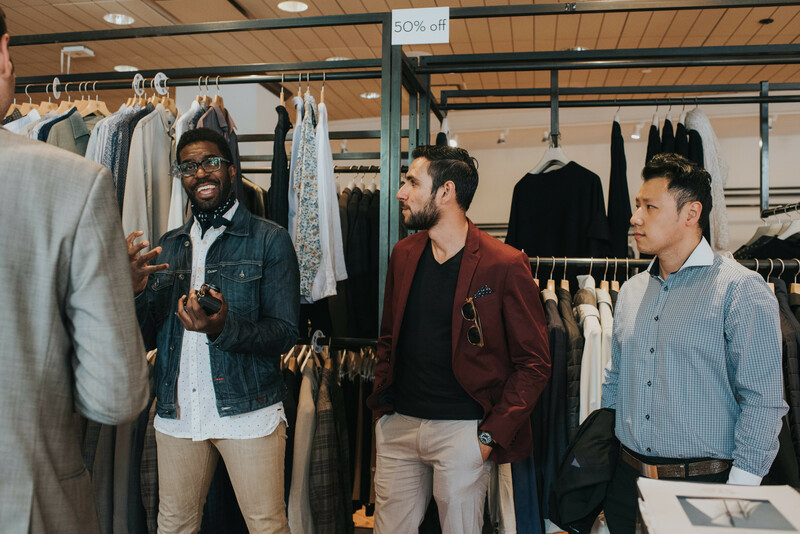 Ser parte de este grupo es todo un honor y me encanta ver como nos ayudamos unos a otros; sólo espero que este momentum continúe para que podamos seguir alzando el nombre de Seattle con orgullo como una capital de moda masculina. Los dejo por ahora, no sin antes recordarles que se vistan con estilo y que dejen que los demás escuchen su voz. Nos vemos la próxima vez con otro post individual de moda (siento que no he hecho uno de estos en un buen rato) y con más colaboraciones. ¡Hasta la próxima!